We provide local organisations with the tools, experience and practical skills that they need to develop sustainable projects. Your project is unique. Our team will design and manage a bespoke package of support tailored to the specific nature of your work. With our simple pricing structure, your quote will reflect your organisation’s current unique needs. We will place a specific development worker with your organisation. This individual takes responsibility for most aspects of the work, whilst drawing on the wider team for specialist support. Our team consists of professional fundraisers, project managers, entrepreneurs, along with a web designer, an economist, a researcher, and a statistician. All of these individuals and their skill-sets are put to use to achieve maximum impact when we support another organisation like yours. Without Futurekraft, there is no way that The Life Centre would be in such a strong position with a clear focus on what we want to achieve in the next few years. We engage with the wider community in specific geographical areas through door-to-door, social media and other forms of enquiry in order to understand what the community want and need, and whether this is in line with the visions and plans of the organisation we serve. 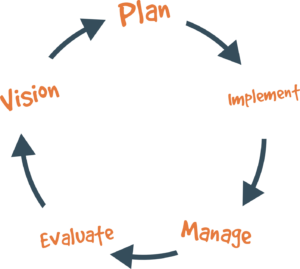 We help the leadership to clarify and scope their ideas, implement relevant systems and structures, timescales and monitoring. We guide the project, get actively involved and help it to grow. Our fundraising effort is not a stand-alone offer. We do fundraising in conjunction with project development as we allow the project to shape the funding efforts. We focus strongly on trust funds (small and large) and seeking opportunities for contract delivery. There is a huge demand for funding in the voluntary sector and we believe that fundraising is the driver and attractiveness of what we do. People need the skills we offer, and the level of support that we provide is hard to refuse. For every pound invested in us, organisations get a return of £4 – £10.